Need to get today's top stories on-the-go? Watch John Berman's morning minute now! Bridget Cutler was still adjusting to being a new mom when she read a magazine article that changed her life. "It was about a mother who decided to give her child up for adoption because she couldn't stand to hear her crying from hunger," Cutler remembered. "I just thought that no mother should ever be faced with that choice." It can cost close to $250,000 to raise a child in the United States, according to the U.S. Department of Agriculture - and that is just for the basics. It's especially tough for families in New Jersey, where one in eight people struggle to make ends meet. The following day, Cutler called her "mom friends" and started collecting gently used baby items. "I had the intention, originally, of finding a local organization to donate them to that would benefit my neighbors," said Cutler, 34. When she did not find what she was looking for, Cutler's idea for Moms Helping Moms was born. Since 2011, the nonprofit has distributed diapers, clothing, nursing supplies and other baby essentials for hundreds of infants and toddlers in New Jersey. "So many people have such an abundance, and so many others strive to afford even the basics," Cutler said. "What we're doing is trying to bridge that gap." We Have a "New Day" Baby! Congrats Kate! Congratulations to Kate Bolduan who gave birth to daughter Cecelia Eve on September 25th around 10am ET! It's going to be a long-haul battle against ISIS. 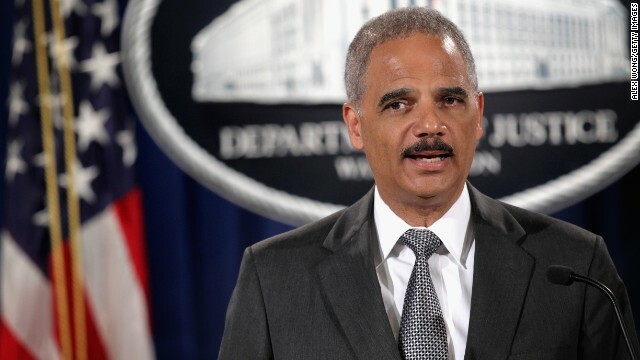 Eric Holder steps down as U.S. attorney general. And Ferguson's police chief issues an apology in the Michael Brown case. The long haul: The phrase has been repeated so often that it could become a mantra in Washington: It's going to be a long fight against ISIS. The United States and its coalition partners have been quick with airstrikes, dropping tons of ordnance on ISIS targets. They're having some effect, experts say, but on the ground, headway against the Islamist extremists won't come easy. Local forces on the ground have had a tough time combatting ISIS fighters.